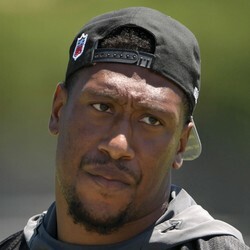 The Panthers have signed DE Bruce Irvin to a one-year deal. The Panthers have been in the market for an end that can rush the QB, and they found their man in Irvin. Formerly with the Seahawks, Falcons, and Raiders, Irvin's better days are likely behind him. Still, the former first-round pick did record 6.5 sacks and a forced fumble in 2018 with the Falcons.